There are lots of domestic plumbers in and around Leeds but how do you know who to turn to when you need domestic plumbing services? How do you know the reliable ones from the ones who might mess you around or charge you the earth? Simply unless you know people personally you really don’t know. At WD Heating Services we ensure that we provide services to our customers in such a way that they recommend us to their family and friends with no question and we can offer a number of customer reviews if this is helpful to you. Renowned for our excellent service at a competitive price we ensure that our quotes are as accurate as possible so you do not get hit with a huge bill or any unexpected costs. We also make sure that following any work that we do in your home we ensure that we leave your property tidy and clean. 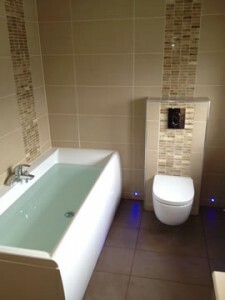 The last thing you want when you have had to use a domestic plumber Leeds is having to tidy up afterwards. We take great pride on our high standards of customer service and make sure that we deliver our projects on time. If your domestic plumbing job is a gas related one we will always send a Gas Safe registered plumber who is fully experienced in boiler and heating system repair and installation. We cover the whole of the Leeds are so one of our team can usually be with you in an emergency on the same day. Whatever your domestic plumbing needs give us a call today.